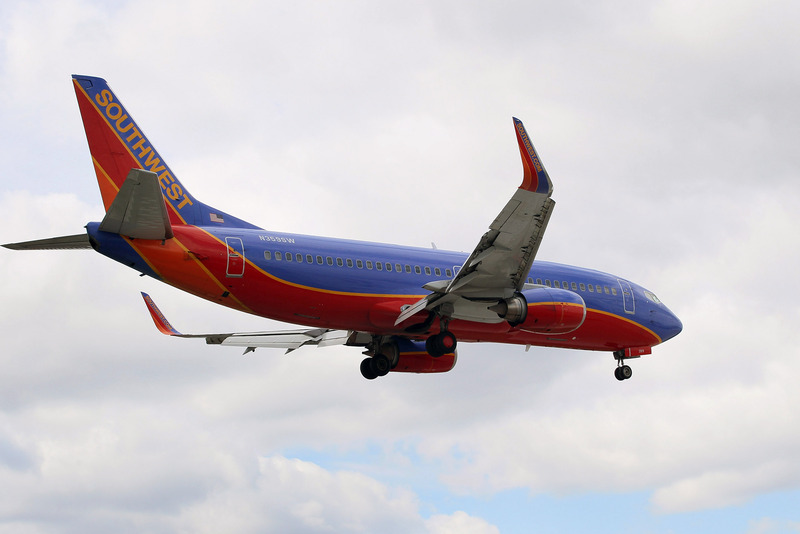 Southwest Airlines Flight 722 from Chicago was forced to make an unplanned landing in Nebraska Sunday after a passenger tried to exit in mid-air. About halfway to Sacramento, passengers on the plane heard a commotion coming from the back as the man, his name unknown, tried to open and jump from the aircraft's rear door. The man was restrained until the plane landed at Eppley Airfield in Omaha, and was then taken away by the authorities. The man had, up until to his harrowing attempt to leap from the plane, been acting in a way that struck at least one fellow passenger as strange. Monica Lawler, who captured the video on her cell phone of the man being escorted off the plane after its landing, told KABC-TV in Los Angeles that earlier in the flight, the man had entered the bathroom only to emerge soaking wet. Not long after, he made his move for the door. He got up and went to the rear of the plane and tried to open up the hatch. One of the airline stewardess just started screaming as well as passengers screaming help. I ran to the back of the plane. At that point in time I was joined by about two other people. We basically tackled the -- I don't want to say gentleman -- but the guy who was back there and pinned him down and restrained him. This isn't the first time somebody has tried to bail out of a plane in-flight, with bad consequences — an Air-Tran flight last August was grounded for the same reason, as was a 2010 Qantas flight when a man, raving about "God's will," threatened to throw open the exit door.